Sometimes when we are driving home from preschool Hannah likes to recite the favourite drinks of her family members: "Grandma likes Diet Coke, Daddy and Grandpa like beer, Mommy, you like Coke Zero and I like delicious cold water!" Note Hannah's favourite drink - delicious cold water. Not room temperature water, delicious cold water. Now that the hot weather has arrived, keeping her water cold can be kind of tricky - especially when we are on the go. 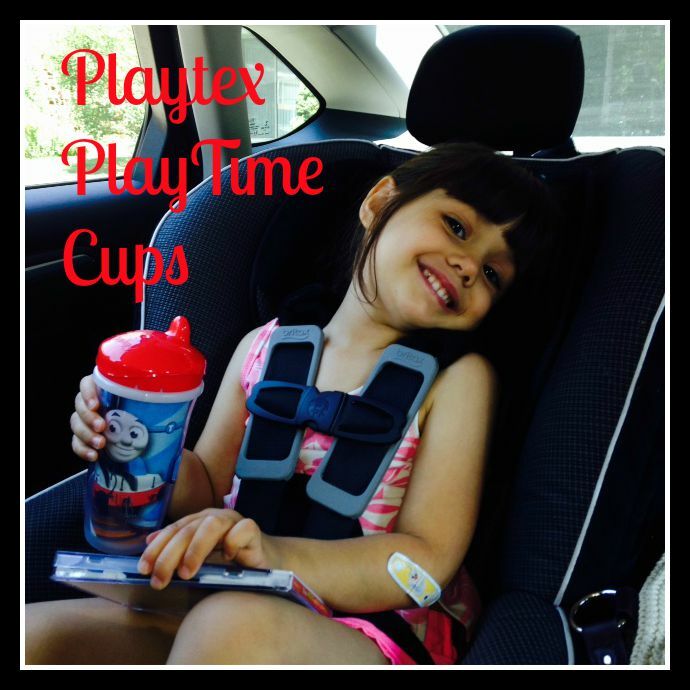 That's why we both love the new Playtex PlayTime Cups. 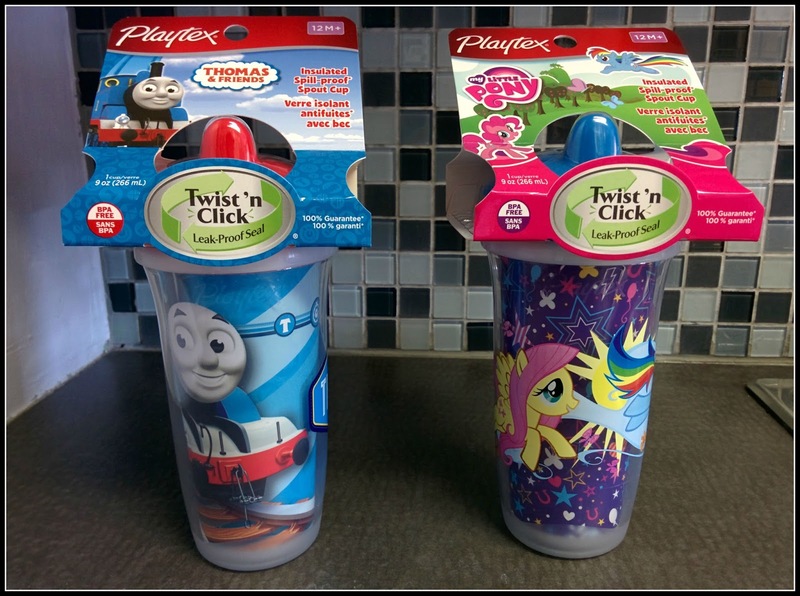 She loves that her cups feature Thomas and My Little Pony. I love that the cups keep her water cool and that they are leak-proof. I can throw her cup in a bag with my wallet and iPad and not worry. 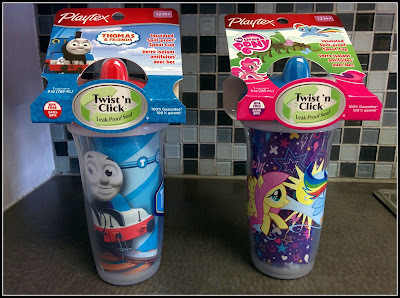 I also love that the cups are dishwasher friendly - which means Thomas stays Thomas and I don't get asked why I "scratched" him. This weekend while we were out shopping we also saw Playtex Playtime Cups with Batman and Superman on them. All Playtex PlayTime Cups come with Twist ‘N Click® Technology for Leak-Proof Guarantee. If you are not completely satisfied, you can return for a full refund of purchase price or receive a replacement. If you want to make sure your kid's drink stays cold this summer, and that the liquid reaches their mouths and not the inside of your bag, this is the cup that will easily rise to both tasks. What is your child's favourite drink?